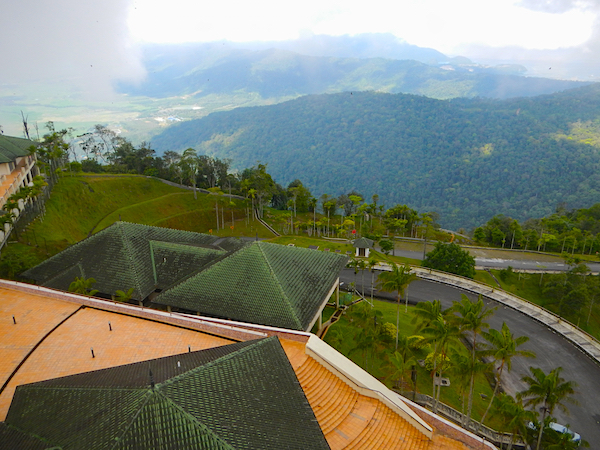 Gunung Raya is a 900 meter high mountain in the center of Langkawi Island in Malaysia and just off the southern coast of Thailand and north of another well-known Malaysian island – Penang Island. I had to do a visa run from Thailand into another country and back, so I figured I would look for something I could climb. Something big that I hadn’t done yet. I’ve been considering going to Langkawi Island in Malaysia for years now, but the ferry schedule was such that I wasn’t able to make it there and back the same day, so I just flew to Penang or somewhere else. 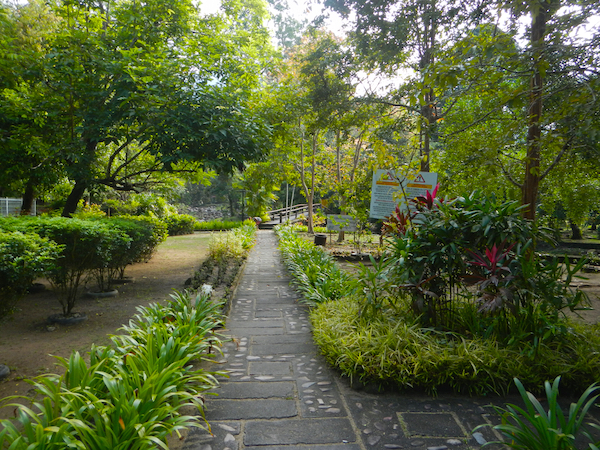 Penang was another option because it has a great trail climb at Penang Hill. I’ve talked about that at my other GoUpIt.com site. You’ve probably seen me mention my unhealthy fascination-addiction to stair-climbing. I’ve climbed the stairs up a mountain near our home over 1,400 times. 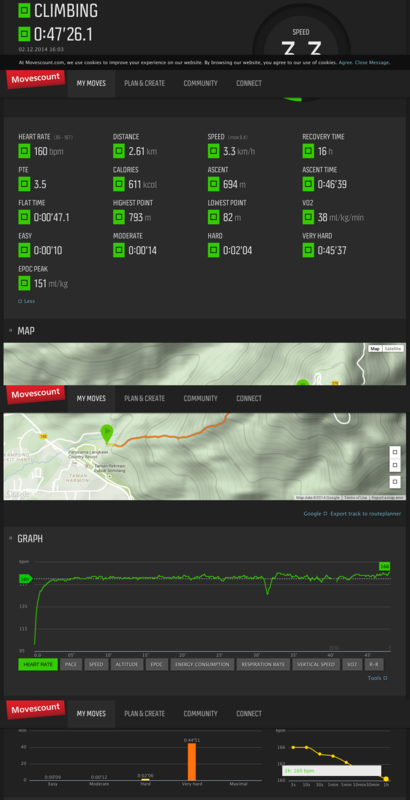 It’s about 280m elevation gain. A nice little climb over 600m horizontal distance to the top. My average time up when pushing a bit is around thirteen minutes. 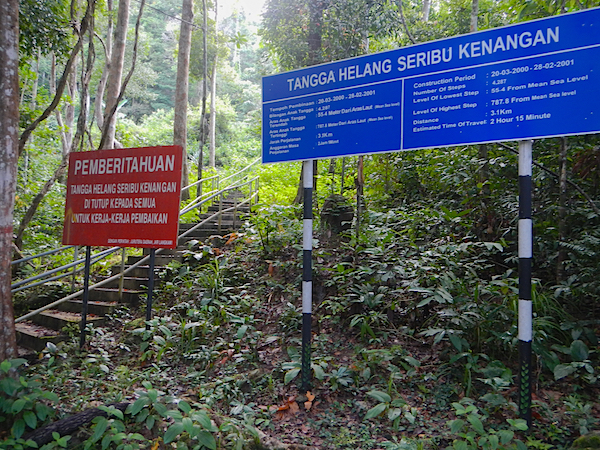 I was checking Langkawi out online and found something that said there were 650 steps up a 7-tiered waterfall and then mountain peak on the far west side of the island. 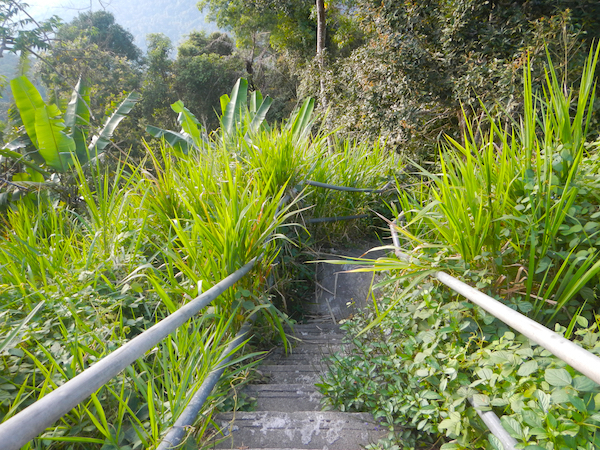 That sounded OK.
Then my heart stopped when I saw the other stair climbing option – 4,287 steps up 790 meters to near the top of the highest peak on the island! BINGO! I started driving around 6 a.m. I was at the ferry terminal in Satun by 10 a.m. Missed the first boat, but got the second at 1:30 p.m. The trip was listed at seventy-five minutes long, but we made it in about one hour. I was done checking through immigration in Langkawi by 3 p.m. I took a shot from the pier and got lucky to have an eagle fly into the photo at precisely the right time. How cool is that? I got the 2,300 THB room for just 1,300 THB (about $40 USD) when the guy that runs the place gave me an upgrade room and a great rate. He then proceeded to drive me over to the park where the stairs were so I could see where it was. He drove me back so I could drop off my stuff at my room, my computer with him at the desk, and I walked quickly back over (500m total maybe) to the park and up past a slowly flowing stream with kids playing in it. 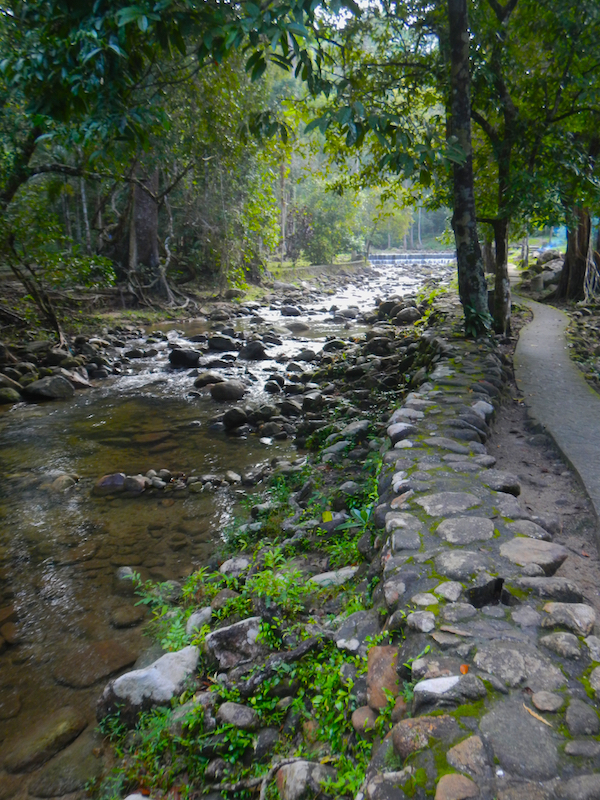 Walkway leading to steps up Gunung Raya mountain. At the base of the steps I shot a video (below) and psyched myself up to get going. It was around 4 p.m. It was very hot and humid. I could have picked a better time to go! Surprisingly, there was nobody else climbing when I went, and during the entire climb up the steps to the top – nobody. It’s a difficult climb, and apparently no locals were interested either. If I lived there, I’d be climbing that mountain daily! I started out moderately and then kicked into high gear after putting away the camera. I had a light backpack and a big bottle of water. The stairs went on and on through lush rainforest. The stairs were in immaculate condition – concrete and well formed, with handrails on much of it. Trees had fallen across two sections of the stairs and I had to maneuver around them. The steps are spaced unevenly, but not all that high – maybe twelve-inches at the most? Most steps averaged five to seven inches high. 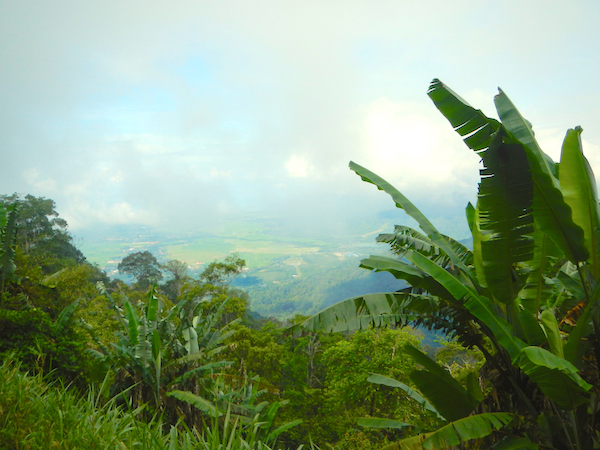 It’s 700 meters elevation gain, and 2.5 kilometers horizontally. So, it’s quite a bit different from my usual climb up the mountain here in Krabi. My thirty minute estimate was way off. I finished at the top in forty-seven minutes. Not a bad effort, but I could go a bit faster with ideal conditions – like carrying no pack, camera, water, and leaving in the morning when it’s cool. I ran down in thirty-two minutes and sat on the floor in my hot shower and rubbed my quads, calves, achilles’ and knees for thirty minutes. I wanted to be sure I could do it again the next day. I woke up feeling great, so I downed a cup of coffee, some noodles and two pieces of toast, and headed back over to the steps for Round 2. It was cooler, which was nice. Still very humid though. I had more water with me, and was a bit burnt from the previous day’s effort but I went at a decent pace. I focused on keeping my heart rate around 152 for this second round. The first time up I was at 162 for most of it. I wondered if I’d have more energy if I stayed around 152. Turns out – I did. I was able to complete it the second time in fifty-one minutes. Another great time for me, considering I was just shooting for under one hour. Top of 4,287 stairs looking down. 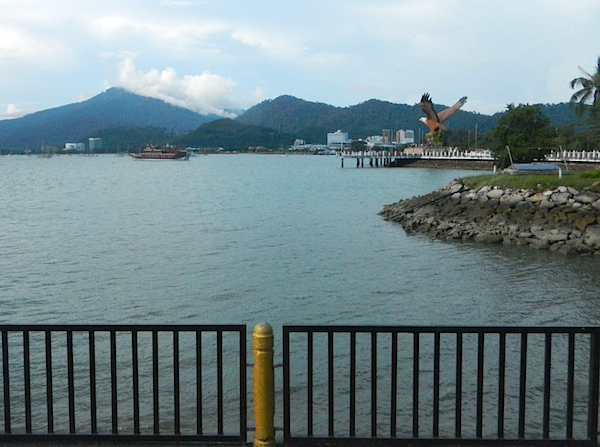 I found Langkawi to be almost perfect. I can’t complain about anything. The people were exceptionally nice – even the cab drivers that ask if you need a ride outside the ferry pier. Nothing like Thailand where they don’t have a great command over the English language and they sound like they’re being abrupt with you. In Malaysia everyone was very nice and their English was quite good in comparison. I will go back again, next time with the family if we can pull it off. 611 calories used in 47 minutes. Stair climbing is great for burning fat! Video of most of what I did on Langkawi Island – from the pier in Satun, Thailand to the top of the tower perched on Gunung Raya mountain. This is an almost thirty-minute video. Watch only if you have a sincere interest in one day going to climb the steps here, or if you just want to see a small bit of what Langkawi is like. Or, if you’re stalking me – you’ll probably dig this.